Saving for retirement requires decades of dedicated financial planning – and even if you’ve prepared, you may be left woefully short of your retirement goals. CNBC¹ reports that 21% of Americans don’t have a single dollar saved for retirement, and a surprising 78% report feeling “extremely” concerned they don’t have enough saved. But there’s an easy way to bulk up your retirement funds. There’s one trick that can increase your retirement savings by tens of thousands of dollars. All you need to do is take action now. What’s the trick? You’ll need to visit your doctor to get started. Aging comes with a whole host of complications and health recommendations, meaning you’re seeing and hearing from your doctor much more regularly. But do you always follow your doctor’s orders? Most of us don’t – especially if a doctor recommends lifestyle changes we find difficult or frustrating. Not following your doctor’s orders can lead to increased health problems, which will increase your medical costs and drive up the amount of money you spend on doctors’ visits, medications, and long-term healthcare needs. But listening to and implementing your doctor’s recommendations can pay off significantly, putting money right into your retirement savings. For example, say your doctor recommends medication to lower your blood pressure and a few lifestyle changes to help you lower your stress level and shed a few pounds. Ignore your doctor’s recommendations and you could wind up with huge health problems as your blood pressure stays high: greater weight gain, increased stress, and potential crises like a heart attack or heart disease. However, if you follow your doctor’s orders, taking medication and making changes to live healthier, you could save thousands of dollars. As Money² writes, a 45-year-old man with high blood pressure who choose to take medication and make simple lifestyle changes will wind up saving approximately $3,285 every year. And those savings can add up quickly if you put them into a retirement savings account. 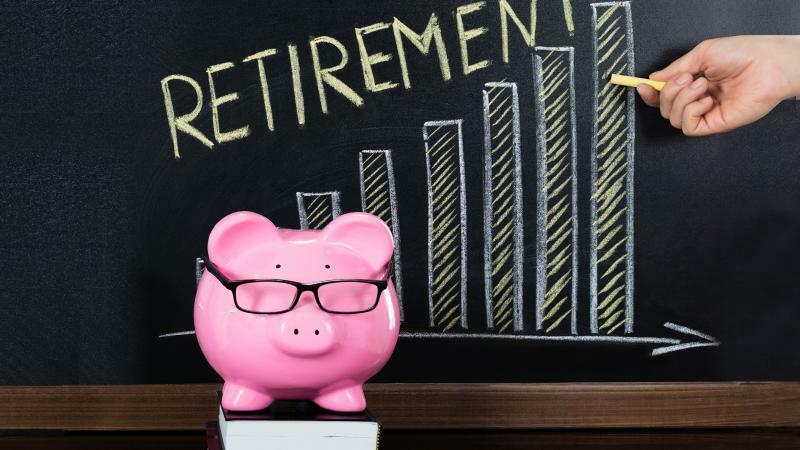 Placed in a retirement account that offers a 6% return annually, Money³ estimates that $3,285 will turn into a savings total of $100,348 by age 65. If you’re ready to add more than $100,000 to your retirement savings, it’s easy to get started. The next time you meet with your doctor, make sure to take note of his advice. Do you need a new medication? Do you need to make dietary changes? Should you start a regular exercise routine? Put these suggestions into practice, and over time you and your doctor will track your positive results. Even small changes, such as incorporating healthier foods into your diet or getting more steps in every day, can add up and make you healthier overall. Of course, there’s one important point you need to know: your savings won’t be automatically deposited into a savings account or sent to you in the form of a check. You likely won’t even notice how much you’re saving as you make changes to improve your health. So, it’s a smart idea to track how much you’re not spending on medical needs. Track how many fewer doctors’ appointments you need once you’re on medication or your health is improving. You can put the copay or cost of each visit you don’t need to schedule into your retirement savings. You can also increase your 401K contribution to an amount that’s similar to what you spend on healthcare necessities each year. One of the biggest retirement hurdles every adult faces is money. Do you have enough saved? Will your funds run out? Are you saving enough right now to be prepared for the future? Instead of worrying about your retirement finances, why not take action to put thousands of additional dollars in the bank? Saving for retirement in your younger years, or as early as possible, is a smart and safe strategy. But it’s never too late to increase your retirement savings. And it’s never too late to start listening to your doctor, improving your health and your finances. Adults of any age can start saving on their healthcare and medical costs by taking steps to live a healthier life – and you could reap as much as $100,000 over the years by doing so.